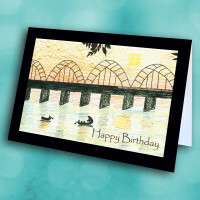 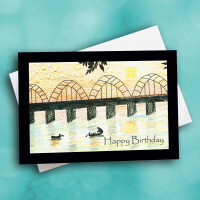 Send a warm greeting on someone's special day, with this charming birthday card. 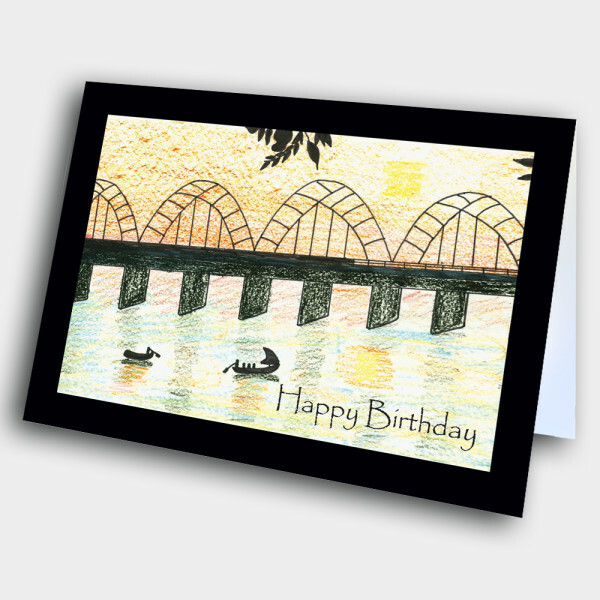 This classy, artistic birthday card is perfect for those more serious relationships in your life. 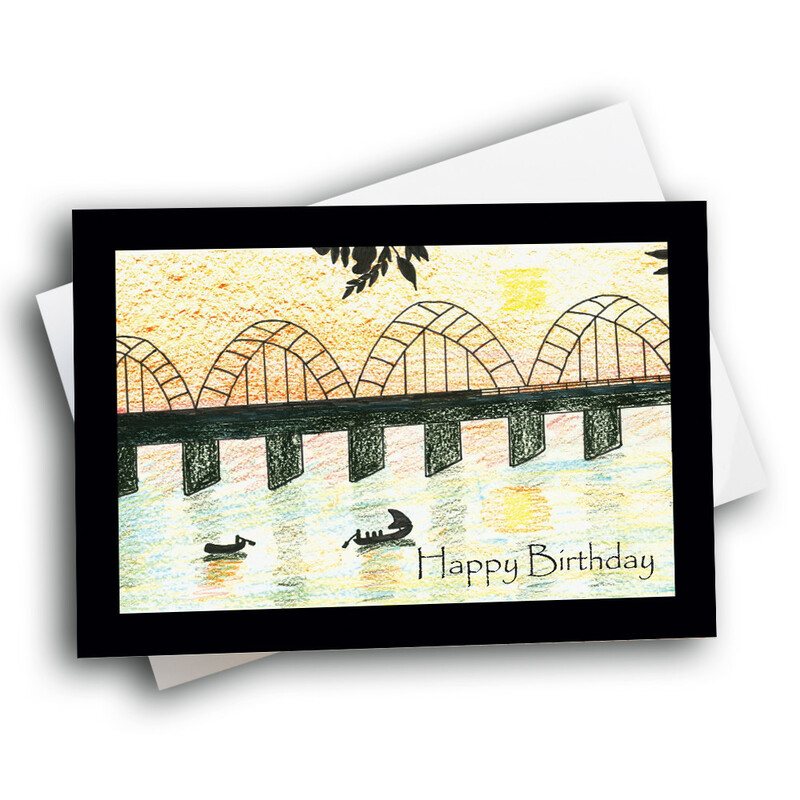 Enclosed in a thick, black frame, the scene on the front focuses on an intricate bridge over a lake, with small boats on the water and a shining sun in the sky. 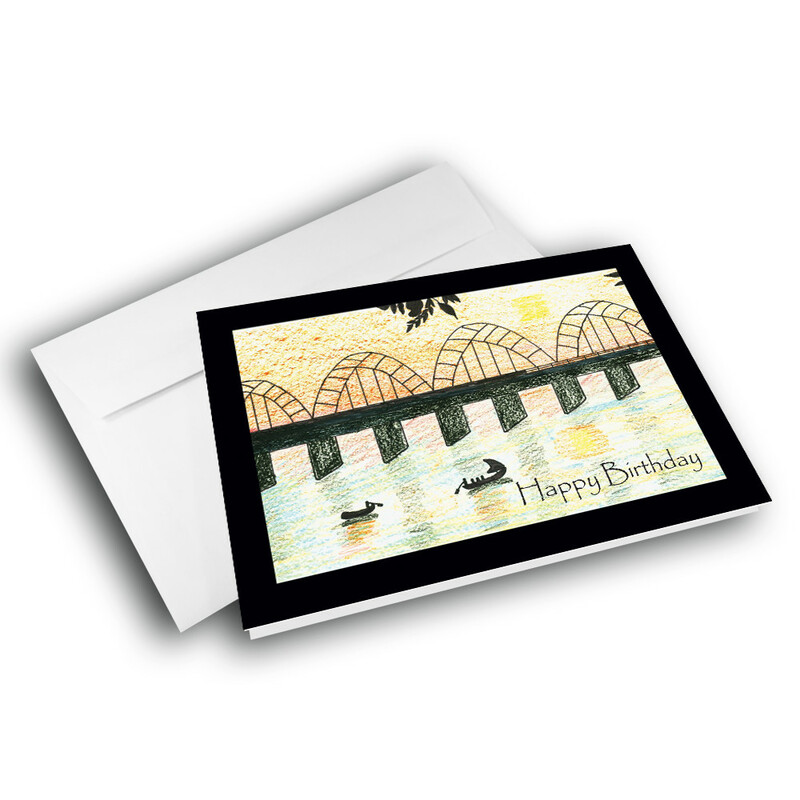 The old-style artwork gives the card a professional charm, and would be perfect for both business and personal relationships. 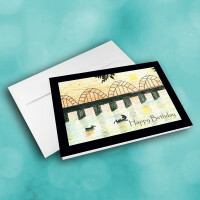 Add a personalized message inside to make this is a unique, custom birthday card.